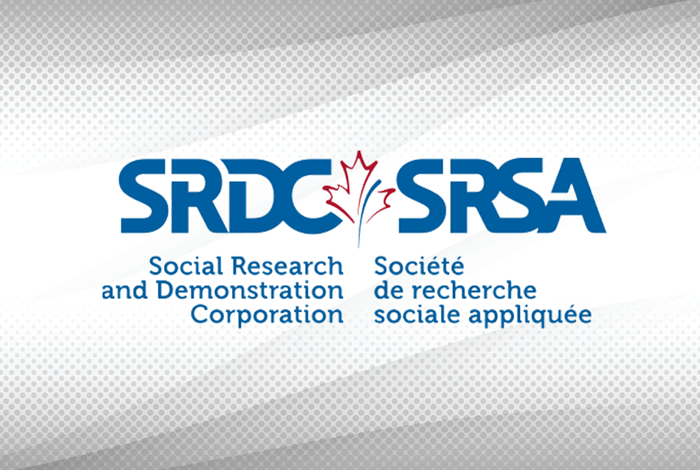 CERIC will fund a Social Research and Demonstration Corporation (SRDC) project that will identify the impact of career education on high school students’ post-secondary choices and workforce outcomes, with the goal of improving the quality of youth career decision-making. The project will use two unique sources of longitudinal data created to test career interventions through the linkage of education records to surveys of youth and parents and to tax records in three provinces. The data document 10 years in the lives of 7,000 young Canadians across 72 schools in British Columbia, Manitoba and New Brunswick, including their occupational aspirations at age 14, their post-secondary education and earnings. To date, the interaction between different elements of high school career instruction, parental and environmental effects, and the evolution of students’ career direction has not been examined in detail. This new project, led by Dr Reuben Ford of SRDC – a non-profit research organization – will investigate the role of influences such as the level of parent involvement and frequency of advice from school counsellors, teachers and peers on the relationship between young people’s aspirations, education choices and youth career outcomes. The study will add immensely to the body of knowledge about (a) how and when to intervene to assist youth in their career decision-making, and (b) for whom supports are effective yet currently lacking. The intent is to help equip the career counselling profession to respond authoritatively to increasingly urgent policy questions about how best to structure career education for young people. It will also point to best practices and the development of tools to support the work of counsellors who guide students in their career planning early in and throughout high school. Given the rigorous design and powerful data sets, this project is expected to deliver credible and convincing evidence on what works best to overcome limitations students face to pursue viable careers. No comparable dataset or similar studies are known to exist worldwide. Finding ways for young people to achieve their full potential is a universally shared political objective, whether the ultimate goal is economic growth, innovation and competitiveness, or promoting social inclusion and reducing inequalities. Yet, many from disadvantaged groups face barriers to pursuing their preferred career pathway. While Canada is an international leader on many indicators of K-12 education performance and has among the highest rates of PSE attainment of all OECD countries, it still has a significant proportion of youth who leave the formal education system ill-equipped for their transition to the world of work. Thus, cultivating a stronger policy focus on the provision of appropriate supports for youth career decision-making is essential. Data for this research comes from projects originally funded by the Canada Millennium Scholarship Foundation, which included randomized trials to test new approaches that aimed to improve the quality of youth’s career decision-making in high school. Future to Discover (FTD) introduced an extra 40 hours of classroom-based career education workshops into more than 50 high schools. It also tested an early guarantee of an $8,000 grant to pursue post-secondary education. Advancement Via Individual Determination (AVID) tested a four-year elective class to promote the academic engagement of middle-achieving youth in multiple ways, instilling skills and motivation in order to improve their educational trajectories. CERIC provides funding and other support to develop innovative career development resources. Individuals and organizations are welcome to submit project proposals for career counselling-related research or learning projects. This project aligns with several of CERIC’s five priority funding areas, including early intervention to assist children’s career decision-making; career practitioning with social and economic impact; and impact of career services on policy and programs.